Mowing is arguably the most time consuming activity in lawn maintenance. However lawn mowing is also very important as it helps not only to improve the appearance of your lawn but also contributes towards making the lawn healthy. Well maintained lawns also help with checking erosion and controlling weeds. Plant health - Cutting more than one-third of a leaf blade during mowing is detrimental to the plant's health and should thus be avoided. Weed control - Mowing too low also increases weed growth. What happens is that when you cut the lawn too low, the pressure on weeds is reduces. Weeds find that they are exposed to more sunshine and with that they can make more food and grow quickly. Decomposition – cutting too much of the lawn may also mean longer decomposition times. Less attractive lawn – you'll probably have realized that lawns that are cut too short are not very attractive. They look bristly at best and take considerably longer to grow back to the desired height. For better manicured lawns, you can mow your lawns lower; closer to the lower figures of the mowing heights provided. Scalping is when you cut more than two-thirds of the grass leaving the stem exposed. It not only decreases the aesthetic appeal of the lawn but also impacts on its health. If you want to mow lower, use a reel mower as it reduces the likelihood of scalping. Alternatively, you can alternate your mowing patters to eliminate grain while preventing scalping. You also need to know that some grass species such as Bermuda grass are more prone to scalping than tall fescue for example. In Arizona and other southern parts of the country, the best time to mow is in the evening when grass is dry and the sun is lower in the sky. Mow warm season grasses as soon as they are 2 to 2.5 inches tall. If the lawn is too tall, cut off one-third and wait for 2 to 3 weeks before cutting off another third. Never mow drought stressed turf. Basically there are two types of mowers, reel and rotary. Reel mowers cut the grass in a scissor-like fashion. They provide quality cuts and are what are used in golf courses for instance. However adjusting the height and sharpening the mower are difficult for non-professionals. Rotary mowers are the most common and cut grass in a machete-like, impact fashion. The cuts are less precise and are more likely to damage the leaf blade. Likelihood of scalping is also high. You need to understand that mowing causes stress to the grass and plants in general and they will react to this stress by producing more leaf tissue to replace what is lost. If you remove too much leaves and a significant portion of the branches and stem, the plants may actually redirect most food and energy to develop fresh leaves, usually at the expense of root development. This may usually cause death of some types of plants and grasses. Furthermore, certain types of grasses cannot effectively take in nutrients if they are cut too low. 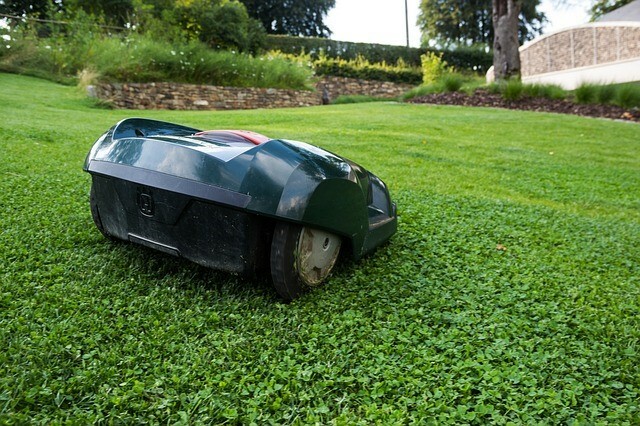 Proper mowing is therefore critical to a thriving lawn.